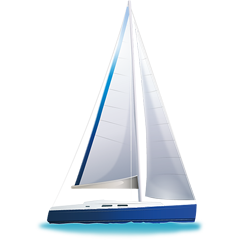 Sailing yacht Sun Odyssey 469 called 2849 was produced in 2015. We offer this yacht from marina Paros in the area of Cyclades. 2849 is certified for 10 passengers. Layout of the sailboat is 10 (8+2). Sun Odyssey 469 2849 is equipped with 4 cabins. For comfort of passengers there are 4 WCs. You can fill the diesel tank with 240.00 l liters and in water tank it goes even 615.00 l liters. With motor 54 hp 2849 can move really fast. 2849 is 14.05 meters long and 4.49 meters wide. Draft is 2.24 meters. You can find different yachts in this section: Yacht charter Paros. Deposit has value 3000.00 EUR. Choose our offer and spend great time on the deck of 2849. This Sun Odyssey 469 from Paros from Greece You can search by going here: Yacht charter Greece.